Of Late, people have started noticing the value proposition that SimplyLearnt offers - we have been covered over here , here and here. 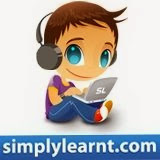 All of the folks have appreciated the idea of SimplyLearnt and so is our user-base. Good days ahead :). I am planning to push SimplyLearnt for a public demo at next month's Startup Saturday - let me know in the comments section if you plan to be there.